A Wi-Fi modem is a single device that combines the functionality of a modem and a router. As a result you’ll have the features and benefits of both in a single device. The challenge is it can feel overwhelming as you scroll through WiFi modem options online. Below are a few things to look for when doing your research. Wi-Fi was first released to consumers in 1997. Since then each new WiFi standard has resulted in faster speeds and/or expanded coverage. As capabilities are added to the original IEEE 802.11 standard, they have become known by their amendment (802.11b, 802.11n, 802.11ac, etc.). In 2018 the WiFi Alliance changed the nomenclature to make it easier for consumers to understand. For instance, 802.11ax is now WiFi 6. 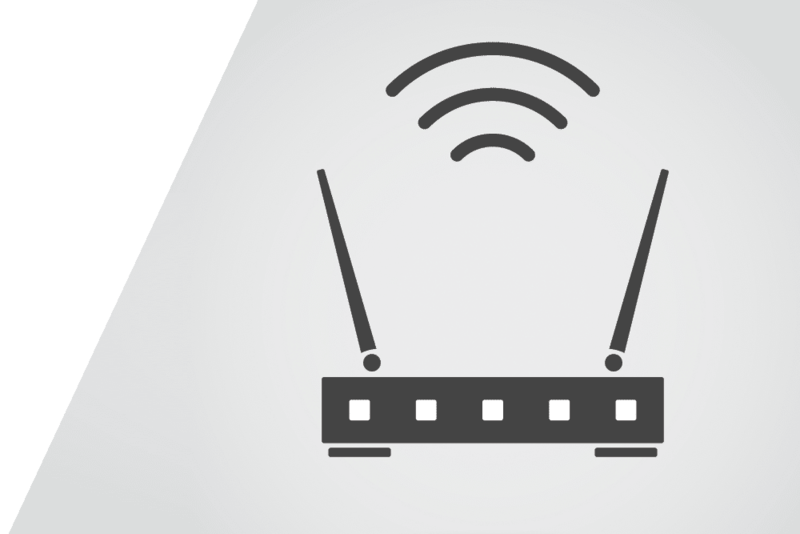 The first feature to consider in a Wi-Fi modem is dual-band capability. Dual-bands create two subnetworks that operate on two different frequencies: 2.4 Gigahertz (GHz) and 5 GHz. The lower frequency is primarily for older or slower devices while the larger frequency is for newer devices. Some Wi-Fi modems also feature enhanced security that protect your personal information while you’re connected to the Internet. WPA Personal security allows you to password protect your network while WPA Enterprise uses unique authentication encryptions on external servers to protect your network. In addition to WPA security, some Wi-Fi modems provide additional security and sharing opportunities within your home network. You can create a guest network through your Wi-Fi Modem that give visitors access to a separate network while restricting access to your primary home network. In the same vein, some Wi-Fi modems also allow you to set up parental controls or access restrictions that block certain sites or restrict the time/hours that a child can be online.